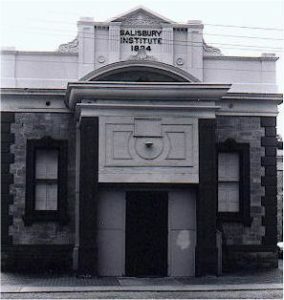 Salisbury Institute was established in 1858 and meetings were held in the Salisbury Hotel’s Assembly Room. Present building erected in 1884. It became the hub of Salisbury’s social and cultural life. Extensions were added in 1901 and 1928.